No mechanic can expect to provide competitive service for their clients if they’re not fully decked out with the right equipment. From your machinery to the interior of your space, everything must be up to par. Lucky for you, Lift King provides only the highest quality shop equipment out there! Out of all forms of equipment for vehicle maintenance and repair, the automotive lift is the holy grail. It’s the one that Lift King has built a name specializing in for years, and above all else, we prioritize quality, reliability, and great value for the price. 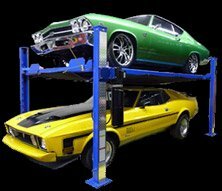 Whether you’re a car enthusiast who wants to keep your beloved vehicles professionally stored, a DIY mechanic who likes to get your hands dirty, or the manager of a commercial automotive service shop, there’s a lift for you. Not only will you be able to find what you need in our extensive, expertly assembled inventory, but our lifts will make a world of difference in whatever context you need them! There’s one guiding principle that should apply to all automotive shops: Efficiency is everything. Changing tires by hand may seem functional, but no mechanic should miss a chance to optimize time management at the shop. With the variety of automatic tire changers we have available at Lift King, there are plenty of ways for you to fast-forward the tire changing process in a price and reliable way. From our highly flexible LK 490 with touchpad controls to our truck-specified LK 1200 and LK 2200, you’re sure to find a perfect option for your requirements. They’re also excellent as a DIY solution for your home garage. How often do you think about the floor when you’re working on a client’s vehicle or admiring your classic car? It may not be often, but flooring is one of the most underrated parts of a garage interior, having a great deal of both functional and cosmetic significance. The ideal type of flooring to pursue in this case is one that is modular in nature, easy to assemble without tools, and customizable according to your own sense of style. Crucially, it also needs to be durable, slip resistant, and stain resistant, all at a fair price and excellent value. Diamond Grip meets all these criteria, and we’re the exclusive distributor! 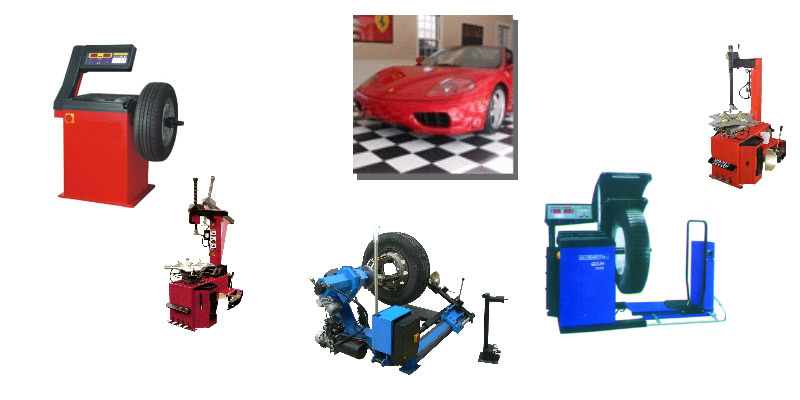 What equipment is your professional automotive shop missing? The last thing you want to do is fall short of the expectations of your customers, so you should always purchase from a dealer who has an eye for quality and a commitment to honesty and integrity. Check out our selection! Here at Lift King, you’ll find a wide variety of tire changers to meet your needs and your budget. Whether your wheels weigh 65 kg or 150 kg, we have got you covered with top notch tire changers boasting tons of great features.